Back on track with the post today forgive the late one yesterday things got a little crazy to say the least. I was looking at nymag.com recently as they are inside actors NY abodes which is ratherÂ fascinating (nothing quite like nosing around people’s apartments I say). I am,Â as IÂ mentioned not so long ago in need of re vampingÂ one of the rooms on my ground floor as its lacking that feeling of squishiness (the kind you get when you’ve just downed a double whisky)! So right now I am like a sponge taking in as many visual references as possible in order to refine the look that keeps whizzing round my head. I tend not to mood board (although I do advise it if you are all at sea with which direction you want to go in). I mood board in my head but that is not really the point, my point is that the two images I’ve pulled from new york magazine have two things in common. Both are filled with memory jogging items, I’m talking hand my down sofa’s, books, photos of pets,Â stuff that we should all have in homes to make it feel unique, personality ladened and lived in. First up Greta Gerwig’s apartment in Chinatown which she shares with 3 other people and although its bijou you can just tell by the items in there that it feels squishy and homely.Â Books abound, sofa’s are handed down andÂ its not so much about spending big bucks (sometimes it is) but more often its not, its about creating a space that is deeply personal to you filled with some things that friends and family have given you. 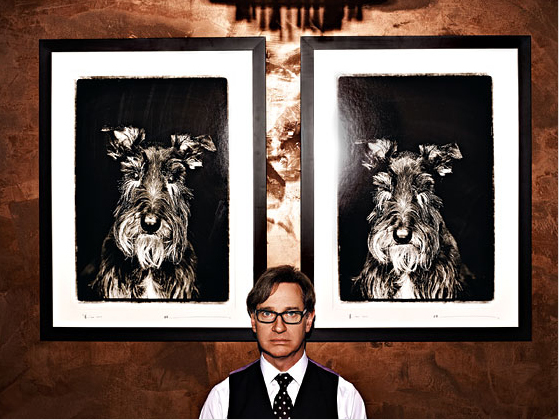 Next up a detail of Paul Feig’s pad,Â now I’m not normally a fan of family photos on walls it feels I can’t explain too personal and not cool (I know I know tons of people do it but I just can’t stand it) HOWEVER when it comes to dogs how darned cool is Linus the Scottish terrier! Paul has another dog apparently not so photogenic so she didn’t make the wall, which goes to show even with memory jogging items we have to curate! 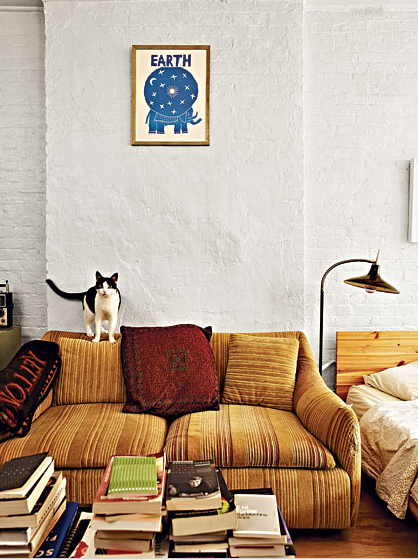 I’m off to find a photographer to shoot Mung’s and Maud exactly like this – love it! O before I go two things first up thank you to My Daily who listed us as one of the coolest ten stores and also the very same day interviewed me, LOVE MY DAILY, very flattered, delighted and excited so thank you guys. Secondly less than 48 hours left to get the 15% discount on the London classes itâs all on yesterdayâs blog.